April 28, 2015, Edmonton, AB – Rohit Communities joined other industry leaders this past weekend at the Canadian Home Builders Association (CHBA) of Edmonton’s annual Awards of Excellence in Housing event. Home builders, land developers and renovators from the Capital Region gathered on Saturday to be recognized in a variety of categories including Advertising, Sales Person & Volume, Development, Leadership, and Single Family/Multi-Family models. 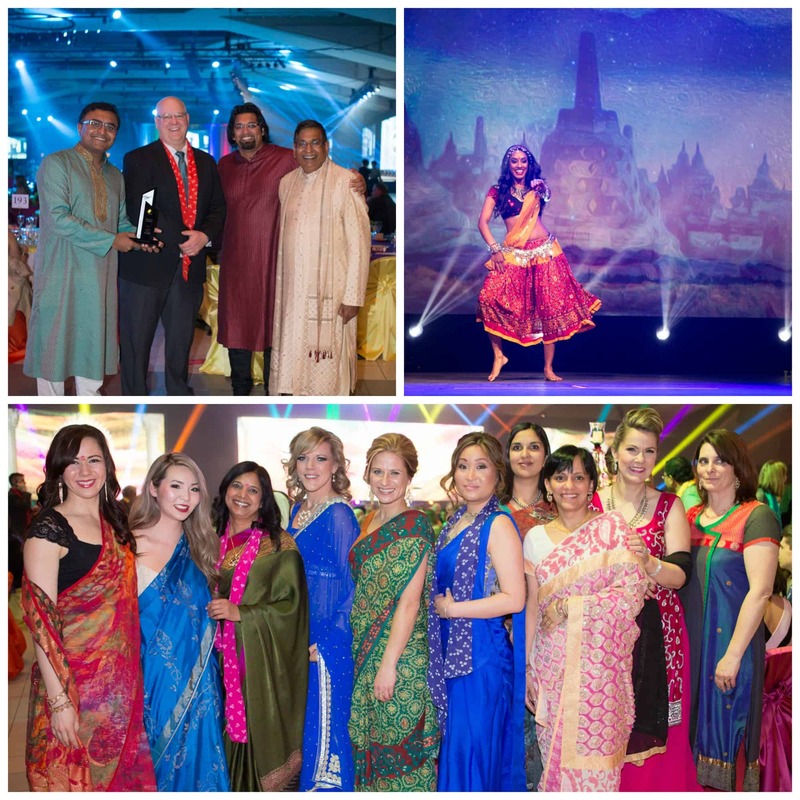 As attendees entered The Shaw Conference centre they were immediately transported to the world of Bollywood. Colorful table clothes, sumptuous décor, and extravagant musical numbers transformed the space and made for a lively and memorable evening. 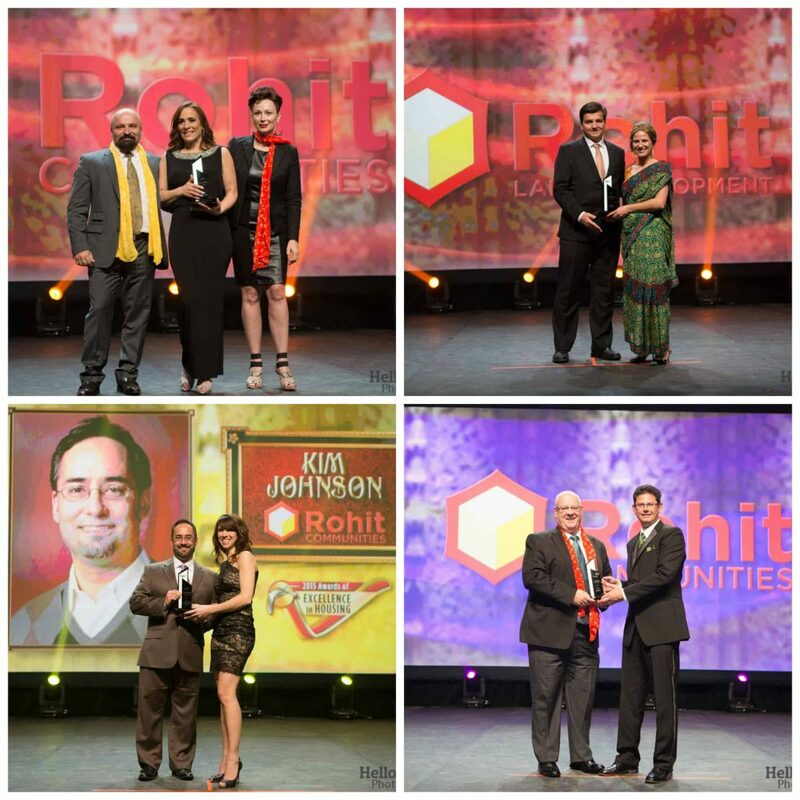 Rohit Communities was proud to be recognized in a number of categories this year including the Best Sales & Information Centre for Multi-family homes, and Kim Johnson, a highly experienced Sales Person with a Rohit Communities, received the award for Sales Person of the Year in the Multi-Family category. Rohit Communities was also presented with the coveted Leadership Award, an award that encompasses a variety of categories including safety in the work place, professional development, employee satisfaction, industry involvement, community investment, environmental initiatives, and relationships with business partners. Rohit Land Development, a sister company to Rohit Communities, was awarded the Best Direct Mail/Email Promotion in advertising with their Up, Up and Away campaign for the Grand Opening of the Glenridding Heights community in Southwest Edmonton. “It is an honor to be competing against the most celebrated in the Edmonton housing industry,” says Tiffany Vanderputten, Operations Manager of Rohit Communities, “to be recognized in a variety of categories ranging from advertising to design to leadership demonstrates that we are not just segmented to one section of the business and speaks to the experience, dedication, and diverse skill set encompassed by our team”. Edmonton Home Builder Rohit Communities, a division of Rohit Group of Companies, is an award winning builder of new homes in Edmonton and Fort McMurray offering new two-storey condos, townhomes, duplexes and single family homes.